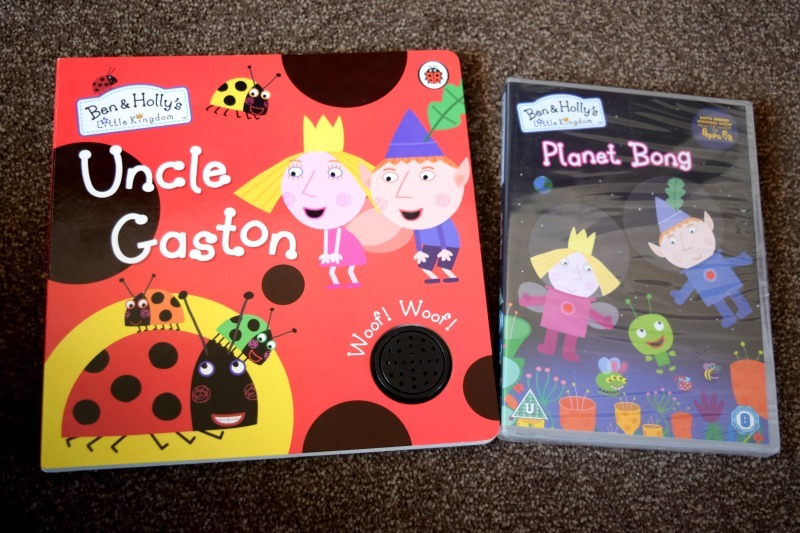 Last week the kids were sent a huge bundle of Ben & Holly's Little Kingdom goodies. Luckily for Elsie, they arrived before the big two finished school and so she had a whole afternoon to play on her own before she had to share them after school. As you can see she was quite happy with that! She absolutely loves the Elf Tree playset. 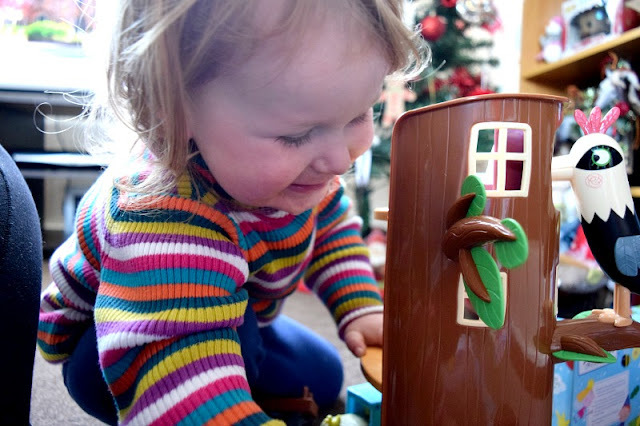 The playset includes Barnaby Elf, a rocking woodpecker which rocks the bed, Ben Elf's bedroom and furniture, the workshop with a trap door and elf toy factory where you can push the ducks along the conveyer belt. Elsie loves pushing the elf down the trap door. It makes her giggle so much while she opens the toy factory door to find him and she also loves the woodpecker. She puts the elf to sleep and uses the woodpecker to wake him up. You can tell she is an annoying little sister! All three of the kids have enjoyed playing with the Elf Tree but I think Elsie has really appreciated it the most. It is such a shame it doesn't come with a Ben Elf! 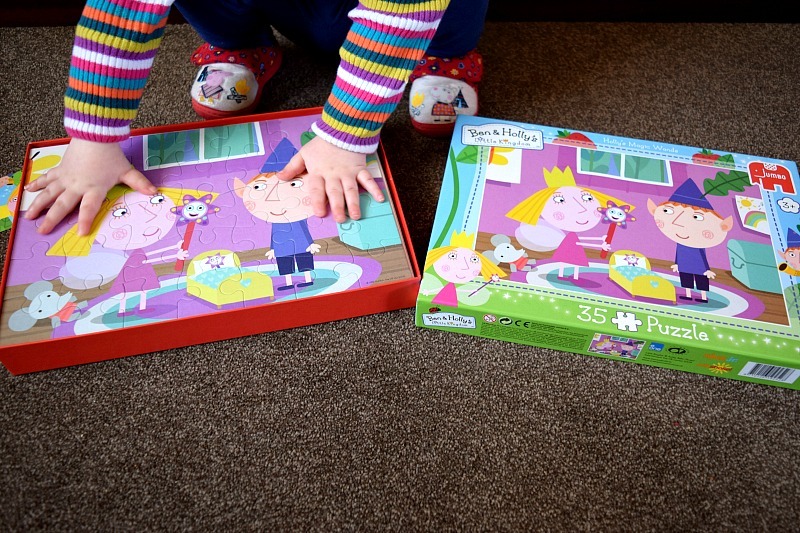 The kids love jigsaws and this 35 piece puzzle is the perfect size. Of course Elsie is rubbish at them and enjoys ripping them apart more than she does putting them together. She is such a destructive child. Gracie and Zach really loved this puzzle though and found it nice and easy to piece together. I even managed to get a picture before Elsie broke it to start again. Elsie loves the Uncle Gaston book! The story follows Gaston babysitting his nieces and nephews who are a bit of a handful, like most tiny offspring. It has a sound button which makes Gaston's 'Woof Woof' sound when pressed and there are plenty of opportunities to press it whilst reading the story. The kids have seen the Planet Bong episode on the TV already and find it hilarious. The mere mention of magic jelly in any episode has them in stitches quicker than Nanny Plum can get out her wand. They love the aliens too, it is definitely one of their favourite episodes. 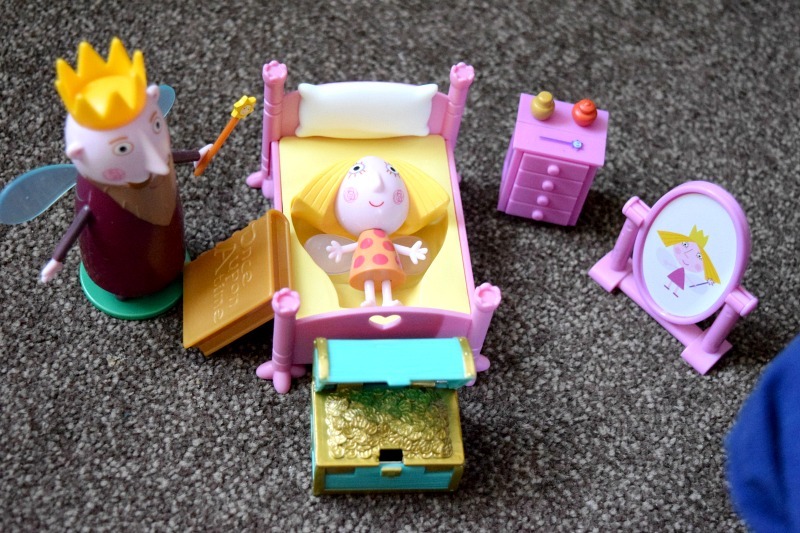 The Holly's bedtime stories play set is a great extra accessory pack. It comes with King Thistle and Holly figures along with Holly's bed, bedside table, swivel mirror, bedtime book and magic treasure chest. I think these are suppose to be for use with the castle which can be bought separately but the kids have just put them next to the elf tree or let Holly have a sleepover at the elf tree. They love that there is a Holly size hole to put her into bed and they love the treasure chest for some reason, although I totally don't understand where a treasure chest comes into it! The umbrella is Elsie's favourite item in the whole bundle. 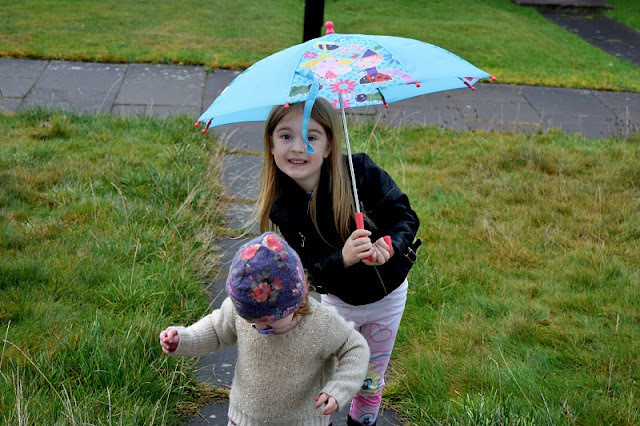 It is actually a really lovely umbrella with decorated panels that have pictures of Ben, Holly and friends on a blue polka dot background and has lovely pink handle and tip. The umbrella is available to buy from Brollied. 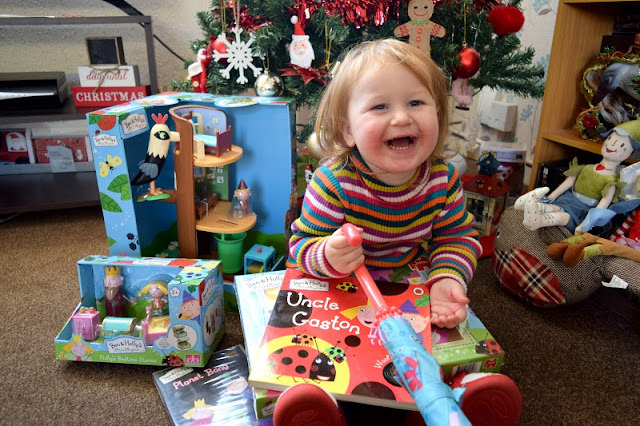 The kids loved all of the items and so would any young fan of Ben and Holly's Little Kingdom. Most of the items are available in large toy retailers or over on Amazon.